Chances are that at some point towards the beginning of your training you were told you need hand wraps to wear underneath your gloves. Hand wraps of course make your hand safer, but not many people actually know how they do that. How can hands get damaged? If we break any combat sport down on a basic level, we can see that the hands take impacts in two ways. The first is through striking, where the hand is used to harm the opponent. Usually this is through punching, but not always. Depending on the sport and rules, hammer fists and back fists can sometimes be legal moves. The second way the hands receive impact is through blocking. This could be punches, knees, elbows or kicks, some of which may be pretty powerful. When blocking it’s not always the back of the hand which gets hit. Sometimes it’s the side of the hand, or in some cases even the palm, through deflections or parrying. Take a look at the Muay Thai long guard for example, where the palms are facing the opponent. It’s easy to see how a strike could hit the hand wrong. As padded as boxing gloves are, there isn’t always a lot they can do to protect these blows. Instead think of gloves and hand wraps as one system, with one layer to protect your opponent, and one layer to protect yourself. The hand is formed of 27 small bones, all of which take a huge amount of shock with each hit. Tight, well-fitting hand wraps hold everything in place and reduce a lot of the ability for bones to break or fracture by giving them support. What types of hand wraps are there? There are really two main categories of hand wraps; professional hand wraps and training hand wraps. Professional wrapping is most commonly seen in fights, but can also be seen among many high level boxers during training. Professional hand wraps usually consist of layers of thin gauze and tape, which is often applied by a cornerman or trainer. What most people refer to when they say ‘hand wraps’ are the ones used for training, which you wrap up yourself. They’re the ones we’re mostly referring to in this article. Training hand wraps are themselves broken down with a few different options. Some hand wraps have a stretch to them (often you’ll find these as ‘Mexican’ hand wraps), meaning they fit the hand tighter and often form to the shape of the hand a lot closer, and then some hand wraps are non-stretch, which are usually (but not always) a slightly thicker material which fits slightly differently and doesn’t risk being too tight. Both types will do a great job at keeping you safe, so the fit is really down to what you prefer. 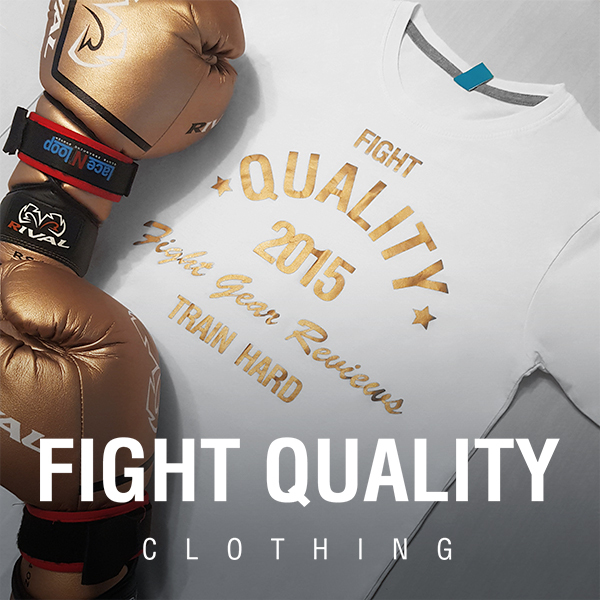 The team here at Fight Quality mostly prefer stretch wraps, however there are a lot of people who would disagree. The other factor in a good hand wrap is the length. Wraps usually come in two sizes, 120” (around 3 meters) and 180” (around 4.5 – 5 meters). We would always suggest if possible to go for the longer length, as it just gives you that added protection, and allows you to cover the thumb and between all fingers, whereas the shorter lengths can sometimes… Well… Be a bit too short. We find that wraps with a thinner material tend to provide a better fit. Hand wraps can vary a lot though, so try and do your research before buying the first pair you see. We’ve reviewed a number of hand wraps in our Accessories Reviews section which might help you out. Inner gloves are also an option, and when you’re in a rush before a short training session, they can be a great option to have available, however the protection will never be as good as hand wraps because of the way inner gloves fit on the hand. If you have the time and you’re doing a standard length training session, then always opt for hand wraps if possible. Some fighters even use both inner gloves and hand wraps, for best of both, however that really depends on the size of gloves you use and what you personally find most comfortable. We’ve written a more in-depth article on the Different Types of Handwraps, which goes into a little more detail on the differences and alternatives. How should you wrap your hands? When wrapping your hands there are 4 key areas to remember – Your wrist, your knuckles, your thumb and in between your fingers. Every fighter has a slightly different wrapping style, however the basics tend to be the same. After a while your wrapping technique will become muscle memory and you’ll just be able to wrap up without even thinking about it. We don’t currently have any tutorials to show you wrapping techniques, but here’s a great tutorial from Title Boxing, with Douglas Ward from The Underground Boxing Company which explains one method quite nicely. The short answer? Every time. You should really be using hand wraps whenever you’re wearing a pair of gloves, to make sure you always have maximum protection, regardless what sort of training you’re doing. Many gyms won’t even let you box without some sort of hand wrap or inner glove. While wearing hand wraps with boxing gloves is fairly obvious, people tend not to think about it when it comes to MMA gloves. Despite being smaller in size, you can in fact safely fit hand wraps on underneath most pairs of MMA gloves, which seeing as MMA gloves have less padding than a boxing glove, is incredibly important. When wrapping hands for MMA you may want to find a wrap which puts a bit more emphasis on staying clear of the palm, as it makes grappling a little bit easier. So how do hand wraps actually make it all safer? Hopefully you’re now a bit more aware why you should be wearing hand wraps when you train, and the injuries they help to prevent. Hand wraps will never make you immune from injuries, and accidents still happen, but it’s important to know you’ve minimised the risks as much as you can. Thanks Loren, glad you think so!